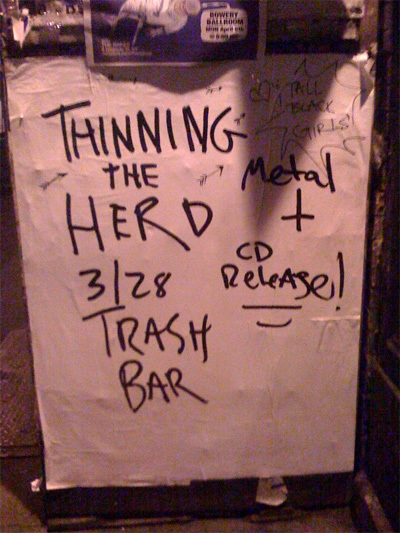 While walking home one night I came across this amazing band poster — it's funny sometimes how the creative world mirrors reality. Not only the name of this band (Thinning of the Heard) reflects the nature of the economy, but I was also impressed how the lo-fi design complimented the name as well. This page contains a single entry from the blog posted on April 20, 2009 12:56 AM. The previous post in this blog was Comic Burger: Superman Help!. The next post in this blog is The Job I'd Love to Have: A Bookstore Cat!.